The chapters in Henry David Thoreau’s Walden or, Life in the Woods, following the indispensable introductory chapter “Economy,” consider different aspects of Thoreau’s economic, social, and philosophical life. They all flow from “Economy” and can be read in really any order once that initial chapter has been mastered. Oft-repeated, in many different ways, is his claim that most of the accoutrements of modern living are unnecessary—or even hostile—to living a good and reflective (he might say a “philosophical”) life. A handful of the chapters will be of special interest to people interested in nature writing, since they are focused on the local environment near Thoreau’s home at Walden pond. No chapter, even the ones devoted to nature, are indifferent to the social. Although he lived alone, he was never far enough away from society. Despite his choice to live alone, in the woods, Thoreau seems to have longed for human encounters and the authentic solidarity that came from interacting with neighbors. He has, however, utter disgust for the hierarchy and presumption that shapes so many human experiences. In his view, solidarity and community must be based on individual autonomy. Without it, you travel inexorably down the path to hierarchy. The joint chapters “Solitude” and “Visitors” consider the nature of loneliness and society. He finds most social interactions worthless compared to a more spiritual connection. It bears mentioning that most of the lonely people are surrounded by others all the time and Thoreau, living alone, claims to have been rarely lonely surrounded by nature and never far from potential visitors and conversation. Perhaps this is the introvert’s perspective on social life. Looking around, I see plenty of people who seem to relish the constant companionship of others (otherwise explain the constant texting and Facebook updating). Are those who do not see a contradiction between withdrawing from the banality of society and yet longing for some rich company in the minority? The chapter “Higher Laws” is of particular interest to me for it takes on the question of the morality of eating meat. He suggests that eating meat (as with hunting) is something that exists in the larval state of humanity. (That is his metaphor.) “We cannot but pity the boy who has never fired a gun; he is no more humane, while his education has been sadly neglected. This was my answer with respect to those youths who were bent on this pursuit, trusting that they would soon outgrow it. No humane being, past the thoughtless age of boyhood, will wantonly murder any creature, which holds its life by the same tenure that he does.” (492) The argument, fully developed, is that when people takes the time to understand their neighbors they will less likely be desiring to exploit and harm them. He then goes onto a discussion of other appetites and how they do not satisfy him, but we can develop his argument in another way and suggest that is it not also true that capitalism and its values exist in the larval stages of modernity. Thrust from our communities only recently, we are still like the young boy who first picks up his rifle, when we interact with our neighbors. Thoreau overcomes the desire to eat meat as he comes to understand the animals he shares his world with. In the same way, actually building communities and solidarity is the key to destroying the violence of capitalism. An interesting suggestion in this chapter is that self-sufficiency demands solidarity and simplicity in life. Someone who cooks their own food, washes their own dishes, and builds their own home will naturally accept a bit more simplicity than one who relies on others to do that job for them. I am sure many readers of Walden find the type of he lives appealing, but has anyone read this account with a bit of disgust. Are most enthusiastic readers of Walden deceiving themselves? Deep down, do they really think such a life is possible for themselves? I have not uncommonly heard people proclaim the virtues of a simple life, yet maintain massive wardrobes. 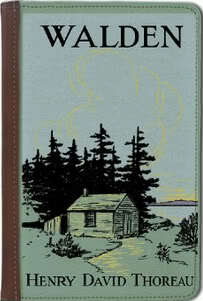 I am sure every “hoarder” can read a book like Walden and see its wisdom. Why is the gap between thought and action so far in this respect? Perhaps they will equivocate and say: “Well, that was possible in nineteenth century New England, but not now.” Was Thoreau any better prepared for two years in the woods than anyone living today? Perhaps, but it did not sound like anything he did was beyond the capacity of someone with a bit of common sense. I think we should set aside the critique of “lifestylism” and take Thoreau seriously as a systemic critique of industrial capitalism and a model of an alternative. He clearly desired a future written with a new set of rules. In this way, he remains a politically important voice as we engage in creative imagining of the future. It is compelling enough out of context, but in the context we realize that this freedom to explore and dare is the wages of friendship. Notice with me that Thoreau’s primary concern throughout A Week is a type of freedom that has a strong social foundation. “Thursday” and “Friday” are thematically united around creativity, first artistic and then scientific. As might be expected, Thoreau believed that nature was often a source of inspiration for creativity, but it is more than that. Art and nature are thematically united. “Art is no tame, and Nature is now wild, in the ordinary sense. A perfect work of man’s art would also be wild or natural in a good sense. Man tames Nature only that he may at last make her more free even than he found her, though he may never yet have succeeded.” (258) That last big seems a backhanded strike at industrialization, which tames Nature by making it a devastated servant of humanity’s more crass needs. In these chapters, Thoreau may be foreshadowing Nietzsche in his definition of “the Man of Genius,” which includes artists. The Man of Genius is “an originator, an inspired or demonic man, who produces a perfect work in obedience to laws yet unexplored.” (267) In contrast to the Man of Genius (the Artist) is the Artisan, who applies such rules. The poet is a special case of the Man of Genius because his laws cannot be easily applied or decoded. It seems to me Thoreau may define the Man of Genius a bit too narrowly, in part to justify his own life and accomplishments, but there is still something to be said for the creative and promethean urge. A Week ends with Thoreau’s summation of the role of Nature in human life. Rather than something to overcome, Thoreau sees nature as something that must be achieved. “Men nowhere, east or west, live yet a natural life, round which the vine clings, and which the elm willingly shadows. Man would desecrate it by his touch, and so the beauty of the world remained veiled to his touch, and so the beauty of the world remains veiled to him. 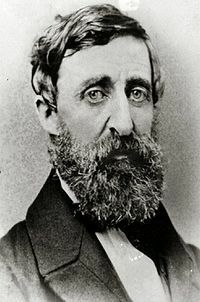 He needs not only to be spiritualized, but naturalized, on the soil of the earth.” (307) In this end we find a tension in Thoreau’s vision articulated most clearly. He appreciates the creative urge and the risk-taking spirit in other parts of his work, but remains dissatisfied with what humanity has accomplished. This is less of a dilemma than you would think, because it is the very creative and promethean urge that is the essence of nature. Civilization is what limits our creativity. Perhaps for some this will be a call for primitivism, but there is no looking back in Thoreau’s writings, except for the brief lesson. His is a projectural philosophy. A Week is a challenging book to read and certainly not one that can be dissected quickly in two short blog posts. Walden, when I first read it years ago, struck me as fairly straightforward compare to this. Perhaps we see two sides. A Week is Thoreau as a poet, Walden is Thoreau as an artisan. I suspect many people will find the mystical speculations of A Week appealing, but both works are actually interested in our social lives and our ways of being together, even when we seek out periods of isolation and solitude. This is one of those works I may come back to sooner, in hopes of digging deeper into Thoreau’s mind. But for now, I am not flustered. Yes, A Week was opaque to me from time to time but that is part of what keep it so fascinating. 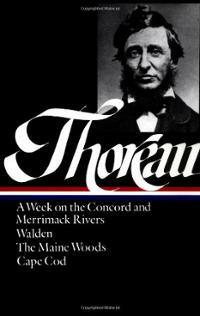 Henry David Thoreau’s brilliant book, A Week on the Concord and Merrimack Rivers, is hard to summarize or even isolate thematically. Like the subtly changing landscapes along the Massachusetts waterways that Thoreau describes, his philosophical ponderings venture from the personal to the national to the universal. Many readers will tease out something for themselves, likely disregarding the rest. If, on the surface, A Week is a naturalists account of the plant and animal life and scenery of the river, it is also a documentary of his thoughts and values. Now we are free to take in some of the scenery and completely ignore others—Thoreau is not an authoritarian telling us to “Look at that tree!” In the same way we are free to completely ignore some of his philosophy. It does not seem to me to be a system that requires unification and strict method for the observer. Nature has certain rules and principles governing how things work. Thoreau’s philosophy has that as well. In neither case, are we required to know what those rules are to appreciate the beauty before us. A Week is an ideal book to read on a day when you promise yourself to do nothing. Maybe it needs to be read in that way. I had trouble getting into it before because I was thinking about what to say about it. I came back to it a bit hung over, bored and uninspired and its treasures opened up before me. 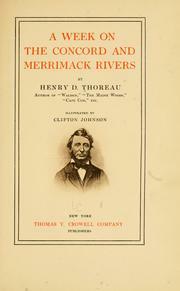 A Week on the Concord and Merrimack Rivers was Henry David Thoreau’s first book. It was written alongside Walden while he was living at Walden Pond. It was published in 1849, almost a decade after the trip that it supposedly documents. It was a disappointment. Emerson did not promote the book to Thoreau’s disappointment. Of the original 1,000 books, Thoreau took back 706 of them. 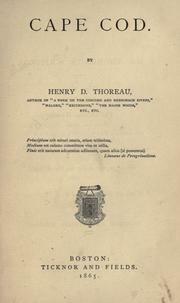 So, it is fair to say that Thoreau was largely neglected at this time. A few years later, Walden will be much more successful. Of course, Thoreau is not making a living from his writing and works various jobs throughout his life such as teaching, surveying, and a bit of lecturing. A Week is broken up into seven chapters, each corresponding to a date. While I cannot even attempt to approach a summary of the work, I can highlight some anarchist themes. Thoreau is commonly identified as an anarchist and is certainly one of the most important figures in the American libertarian traditions. Months ago I looked at his essays and found not only themes of anti-slavery and individualism, but also strong currents of anti-capitalism and even work resistance. The theme of work resistance surprised me because I rarely saw that outside of a fully industrial, post-scarcity economy. Thoreau was not like Kropotkin, he was suspicious of industrialization and technology. His argument against industrial regimen of work was rooted in his effort to preserve individualism in the face of a homogenizing society. Anyway, let’s see what A Week contributes to my growing literary arsenal of anarchism. At times Thoreau seems to hack the promethean spirit of early America, a belief in progress and the potential of the human mind to accomplish great deeds, while also sabotaging some of the clearest images of that progress. He questions the application of that promethean spirit. In this second part, Thoreau details the two sides of this coin, labeling them the Evil Destinies and the Good Genius. It is the tension between these two sides of the American spirit that come as close as anything can to being a theme of the book. Thoreau’s critique of religion is libertarian to the core. A major theme of “Sunday,” the second day of the “week,” is that religions are products of their societies and reinforce the needs and assumptions of that civilization. A hierarchical society, while have a hierarchical god. A terrified society will have gods that terrify them. Thoreau seems to take from this two conclusions. The first is that people should not take the Bible very seriously, pointing out that it does not have much to teach that is valuable or unknown and that it is also bad poetry. “Examine your authority. Even Christ, we fear, had his scheme, his conformity to tradition, which slightly vitiates his teaching. He had not swallowed all formulas. He preached some mere doctrines.” (57) The second conclusion extends from this and suggests that we should create religious traditions that work for ourselves. Is he predicting William James? He talks about a wood-chopper who may find little of practical value in the New Testament. His goodness and conscience is not derived from faith and certainly not organized religion (which is often mocks in the book). “Monday” continues some of the religious perspectives of “Sunday,” where Thoreau takes a special look at the value and limitations of Hinduism and the ancient Greeks. Through this discussion these is the general suggestion that all the different philosophies and religions are windows to the same truth. Thoreau seems to realize that the world around him is a graveyard of ideas, past ways of living, bits of nature, people, and even entire towns. He is uncomfortable in such a place. At one point he said that has no friends in the graveyard. This again is the two sided coin. 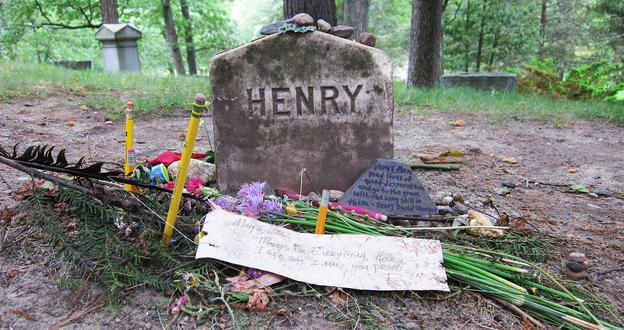 The same promethean spirit that Thoreau wants to embrace is responsible for digging a lot of graves. 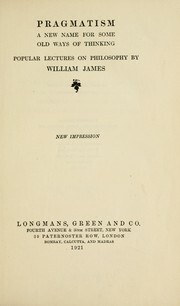 The Meaning of Truth, by William James, was presented a year before his death as a sequel to his Pragmatism. Unlike some of his earlier books, this one was not a series of joined lectures, but a collection of essays published over the last half decade of his life. If you are reading his philosophical works together as I am, you find that they are really joined around an idea known as “radical empiricism,” which simply rejects the Truth claimed by idealists, but also attacked standard empiricism for basically coming down on the side of Truth (but using a different method to get there). In Pragmatism and A Pluralistic Universe (and Varieties of Religious Experience for that matter), James argues for a rejecting Truth and embracing a variety of truths, none of which can be pragmatically discounted and false. This is, of course, easy enough to prove with aesthetics. You cannot say that my preference for Beethoven over Mozart is reflecting Truth. As I understand it (I am saying this too much perhaps in this series), James would want to apply this same logic to other inquiries. He talks about how we come to know a phenomenon, like a tiger. Our desire to hunt tigers is one phenomenon. The tiger skins we bring home are another. The tiger itself is yet another. All have a context that works in shaping our cognition. And as consciousness begins in cognition, we need to understand the process and context of our understanding of a phenomenon (“outer chain of physical or mental intermediaries connecting thought and thing”). James argues that this position is highly humanistic, because it takes account for the diversity of various human perspectives. This seems to be a compelling argument for me as well. It certainly suggests that although human experiences are diverse and pluralistic, there are real reasons to think that humans interact in the world in ways that other creatures do not. In one chapter, James puts forth a systematic response to all the major criticisms of pragmatism and radical empiricism. He takes them all on, but one that I do not find such a condemnation is the criticism that pragmatism is a “call to action.” It is that I think James’ philosophy demands action rather than thought that made me so attracted to it in the first place. As he clarifies, this criticism is that the philosophy appeals to technocratic types, who care only about applications without meditating on consequences of action. But, as James clarifies, the philosophy actually suggests a wide variety of actions, not the singular action of the technocrat. To the charge that radical empiricism allows people to belief as truth in things that do not exist, James explains that things that do not have existence cannot have really good results that can be observed. Thus while you cannot get to God’s existence through his method, you can prove the existence of religious experiences. It is the same with historical figures, as he tries to explain with the question of the existence of Caesar. The radical empiricist has visible effects of Caesar’s life, including his books as evidence of his existence. The rationalist will actually have a much more difficult time proving his existence. (Now, perhaps this becomes more complicated with mythology, but I am not so troubled by the fact that people may think that Zeus or even Xena existed. At least I am not more troubled by that than the fact that people believe in God. In either case the existence is less important the experiences and the tangible results. The book ends with a dialogue between a pragmatist and a non-pragmatist. It is a useful summary of his thought and it comes down to the pragmatist is interested in truth as it is made real in the world through various contexts. I cannot think of a more open-minded and democratic approach to truth without going off the wall into banal and useless relativism. It always us to have a conversation where the other does not assume that they look at the world in the same way as we do. Part of the power of this perspective on truth is its practicality and flexibility. I cannot help to think that in general terms this is useful for libertarians attempting to construct free spaces in a variety of different cultural areas, each with their own ecology, in both urban and rural areas. It seems it be something that can inoculate such free spaces from being fill in (permanently at least) with bad ideas. Instead of allowing vile thoughts and practices from filling in a space under the guise of “truth.” It will judge ideas based on their results and observable goodness. So, if you think I am being too easy on James, or misunderstanding his basic point, let me know. If you think rationalism is a better path for a libertarian epistemology, let me know. As my reading of James shows, I am easily convertible. See, there is an added value to looking at the universe pluralistically. We can actually take part in a more rich, playful, and diverse universe. His most significant attacks on other philosophers come at Hegel. His questioning of Hegel is really an extension of his disapproval of idealism as absolutist. An rationally-determined position conquers and dismisses all other perspectives and eventually all evidence. “All facts lead to him [the idealist].” (688) Here we come to the crux of radical empiricism as I understand it. Idealism finds truth through reason and ideas alone and then (for James at least) voyages into near solipsism. At its most radical, the idealism would be willing to reject all other opinions as false, no matter how they were determined, if they do not fall into “Truth.” The typical empiricist (I suppose most scientists fit into this category) accept “Truth,” but realize that specific findings may be provisional or incomplete. Truth determined through observation, but constantly tests by other findings and observations. The radical empiricist rejects “Truth” finding value in all observations made by others as having truth. Going a bit farther he states that fact can be found in the process by which something is observed and realized needs to be taken into account as well, and those will be highly pluralistic. Each observation is a process, thus ultimately two people will observe the same event with different processes and therefore one cannot be rejected without exposing some absolutist position. I guess in practice this means that a scientist is more right in her observation of some phenomenon than an untrained spiritualist, just because ones process of observation is informed by training and the other by a belief in ghosts. So, is the point here that the typical John Locke style empiricist is a variant of idealism in that is does not understand the context of an observation? Does this leave us with some anti-intellectualism? I suppose a degree of that is inevitable with radical empiricism, but that may not be bad in a highly technological democratic society, where scientists and engineers hold immense powers over our individual lives. Many historians of science have filled in this gap by looking at the context of this or that scientific discovery and showing how they were not the result of pure observation, but influenced by training, disciplinary standards, social expectations, religious values, culture, and much more. In this sense, perhaps James is rightfully questioning “Truth” as determined by thinkers, while also raising the standards of inquiry to include increased not just a finding, but how a finding was determined. 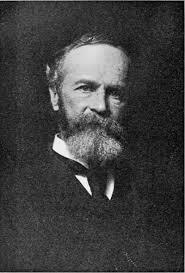 I am not sure how much thought anarchists have given to epistemology, but I am convinced that the place to begin such an investigation would be a thinker like William James. At the very least, I am convinced that there are real conflicts between idealism and a libertarian worldview, but maybe others see it differently. 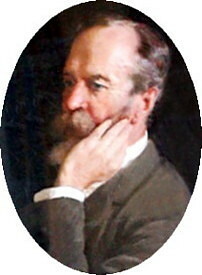 William James delivered the lectures that make up the book Pragmatism: A New Name for Some Old Ways of Thinking in late 1906 and early 1907. They build on the conclusions of The Variety of Religious Experiences. Essentially, his perspective on religion was pragmatic and based on observably significant religious experiences. This collection of essays is a more general statement of these principals. It seems to be to be an essentially correct perspective, resting on the idea that what matters as true is what works. And what does not work should be rejected as false. A major reason to accept his position is that “Truth” actually matters little in the world as we experience it, even if it could be determined (which Kant already showed is not really possible). He then approaches the basic philosophy of pragmatism, stating that what matters is the concrete consequences of a particular claim. What is so radically powerful about this perspective is that it makes truth (he is indifferent to Truth) “malleable to human needs.” (515) “Pragmatism is willing to take anything, to follow either logic or the senses and to count the humblest and most personal experiences. She will count mystical experiences if they had practical consequences.” (522) This seems to me a democratic, fair-minded, and useful approach. The rest of the lectures explore different ramifications of this position. One is that categories of substances (whiteness, combustibility, insolubility, etc.) are purely creations of pragmatic humans. This is about as clear a rejection of idealism as I can think of. Of course, that this can be immediately extended to character may be troubling to some. Of course, I am rather sympathetic to the idea that honesty or value or generosity be reflected in human interactions rather than the realm of abstract ideas. This is also James’ defense of free-will. While it may be “Truth” that free-will is an illusion, we act as if we have free-will and that assumption works fairly well in a host of questions in human societies. He includes in the book a foundational argument to his next major work, The Pluralistic Universe. Let me attempt a pragmatic defense of anarchism. We certainly could accept an anarchist-communist principle like “from each according to their ability, to each according to their needs” on principal, but that is actually the least direct way to get there, and the path most likely to inspire resistance. It is much better to argue (as David Graeber did in a talk I saw) that this principle is essentially how we function in social relationships already. In the simple encounter of asking for direction, this principle is lived. When I ask from directions, I take from someone who owns knowledge freely from someone who is not capable (morally, most of us would agree) of refusing. In the workplace, the same principle usually applies. It would be a pretty inefficient workplace that did not accept at least the “from each according to their abilities” principal. To give a more difficult example, squatters rights (or the principal that ownership should derive from use) is simply a more efficient and just way to distribute housing. To rely on a hard principle of property rights in respect to housing is inefficient (requiring guards, banks, and all sorts of invasive legal proceedings) and unjust (ensuring that people with the need for homes will go without). Also, giving de facto ownership to occupants is basically how we see the world. When we visit a renter at their house, we act as if they were the owner. In every meaningful way that house (perhaps owned by an absentee landlord or a bank) is the moral domain of the one who lives there. At the same time, it is may be a useful exercise to critique the state or capitalism using pragmatism. People may like in a democracy, while having little actually say over their lives. This actually seems to be empiraclly true for most people. In the same way, anarcho-capitalists may speak of free markets or free exchange, but have no empirical evidence that these exist or can exist. At the same time, pragmatically, we see that we can function without a state. Well, I am sure a philosopher or a James’ specialist can set me right on this, but I find this a reasonable extension of what he was saying in Pragmatism. Capitalism seems to be an imposition of abstract principles (most significantly property ownership) over a more pragmatic perspective.